ORLANDO, Fla. (AP) — Some high-powered Latinas are on the march in Florida, campaigning in two largely Latino neighborhoods the weekend for Election Day. 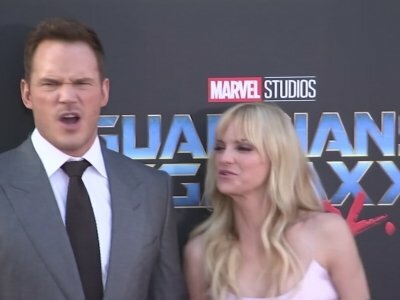 LOS ANGELES (AP) — Chris Pratt and his fellow "Guardians of the Galaxy" castmates are coming out in support of ousted director James Gunn 10 days after his firing. Brie Larson is excited she can do five pull-ups. The 28-year-old actress has been in training for her upcoming movie 'Captain Marvel', in which she will play Carol Danvers and her titular superhero alter ego in the first solo female-led Marvel Cinematic Universe film. The 'Room' star couldn't wait to show off her new strength to her fans by posting a video of her working on her arm muscles by doing pull-ups. A teenage outcast does battle with monsters inward and outward in "I Kill Giants," a soft-spoken, deeply personal story about loss. Stars including Zoe Saldana, Jennifer Lawrence and Simon Pegg gathered to remember Anton Yelchin at a celebration of his life on Sunday (10.08.17). The 'Star Trek' actor died in a freak accident at his Los Angeles home in June 2016 aged just 27 when his 2015 Jeep Grand Cherokee rolled backwards, crushing him against a security gate, and his loved ones gathered for a special ceremony to unveil a statue in his honor in the Legends Garden at the Hollywood Forever Cemetery in Los Angeles. LOS ANGELES (AP) — A statue of Anton Yelchin has been unveiled at a service honoring the late actor's life that was attended by Oscar winner Jennifer Lawrence and several of his collaborators in the "Star Trek" franchise. LOS ANGELES (AP) — Snoop Dogg, Shonda Rhimes, "Weird Al" Yankovic and late entertainers Bernie Mac and Steve Irwin will be receiving stars on Hollywood's Walk of Fame next year. The Hollywood Chamber of Commerce revealed the 2018 honorees Thursday. Zoe Saldana has a "fear of missing out" as an actress. The 'Guardians Of The Galaxy' star admits her job is a bit of a "mix" as she has a "certain level of anxiety" and a "desire" to create and be artistic. She said: "The life of an actor is always a mix. There's a fear of missing out, a certain level of anxiety and a desire to create. I like to be artistic in everything I do." ANAHEIM, Calif. (AP) — Stepping inside Disney's latest theme park attraction, Guardians of the Galaxy: Mission BREAKOUT!, is like being thrust into one of blockbuster films' pulsating, action-packed trailers. Zoe Saldana's "greatest wish" is that her children don't grow up "feeling conscious" about the colour of their skin. 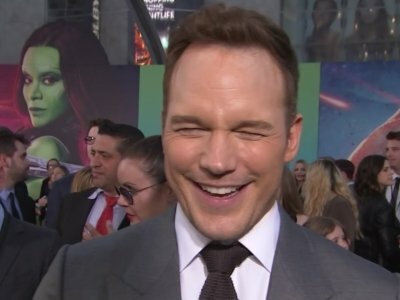 The 'Guardians Of The Galaxy' star - who has two-year-old twins Cy and Bowie and three-month-old Zen with her husband Marco Perego - wants her children to grow up to believe they can do anything they set their mind to. Set to “Awesome Mixtape No. 2,” Guardians of the Galaxy Vol. 2 is more thrilling and hilarious than its predecessor. It is an action-packed, sci-fi adventure about a group of intergalactic criminals who are tasked to work together to save the universe. Chris Pratt again stars as Peter Quill, aka Star Lord. The rest of the cast follows suit — Zoe Saldana as Gamora, Dave Bautista as Drax, Vin Diesel as the voice of Groot and Bradley Cooper as the voice of Rocket. How does Marvel Studios and writer/director James Gunn follow up their idiosyncratic space-opera send up “Guardians of the Galaxy”? 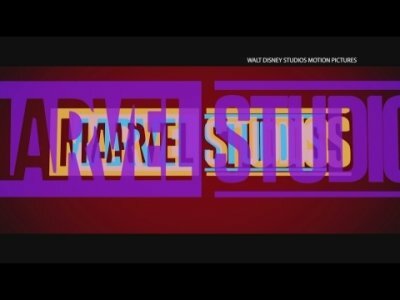 Despite its undeniable success, the pressure to live up the ever-growing reputation of their 2014 blockbuster had be daunting, considering the specific tone and aesthetic approach these creators allowed for the project. I am happy to say that while “Guardians of the Galaxy Vol. 2” doesn’t capture the same lightning-in-a-bottle, I-can’t-believe-they’re-getting-away-with-this quality of its predecessor, Gunn still brings his subversive sensibilities to the table with enthusiasm. Zoe Saldana has praised her nanny for helping her continue to work whilst raising her children. The 38-year-old actress is mother to two-year-old twin boys Cy and Bowie as well as three-month-old son Zen - all of whom she has with her husband Marco Perego - and has revealed her assistant, her nanny, and her housekeeper provide key support which enables her to continue acting. NEW YORK (AP) — "Guardians of the Galaxy Vol. 2" rocketed to an estimated $145 million debut in North America, kicking off Hollywood's summer movie season with something the movie business has been craving: a sequel more successful than the original. Director James Gunn's second "Guardians" film opened 54 percent higher than the 2014 runaway hit, according to studio estimates Sunday. LOS ANGELES (AP) — "Guardians of the Galaxy Vol. 2" has rocketed to a $17 million opening night, beating out early showings of the first film. Disney reported the sales estimate for Thursday night preview screenings on Friday. The sequel is the biggest opening night earner of the year so far. The first "Guardians" film was a surprise blockbuster for many, transforming a little-known band of Marvel superheroes into household names. It earned $11.2 million on its opening night. On the whole good enough although uninspired “Guardians of the Galaxy Vol. 2,” from the original film’s writer-director James Gunn, reunites most of the surviving members of the original film’s cast, including arrow-armed Ravager Yondu Udonta (Michael Rooker) and robo-psycho-gal Nebula (Karen Gillan), the estranged sister of Gamora (Zoe Saldana). Also along for the ride are veteran newcomers Kurt Russell and Sylvester Stallone (Tango & Cash in Outer Space!). Zoe Saldana has revealed she and the 'Guardians of the Galaxy' cast were "in shock" when they began shooting 'Avengers: Infinity War' because the scale of the movie is so "big". The 38-year-old actress, can be seen as Gamora in 'Guardians of the Galaxy Vol. 2' and she and her castmates from that Marvel Cinematic Universe movie will all feature in the third 'Avengers' movie. Zoe Saldana has suggested the fourth 'Avengers' movie will be titled 'Avengers: Infinity Gauntlet'. The 38-year-old actress plays Gamora in the Marvel movies and Zoe has seemingly let slip the name of the much-anticipated 'Avengers' movie, which will follow 2018's 'Avengers: Infinity War'. 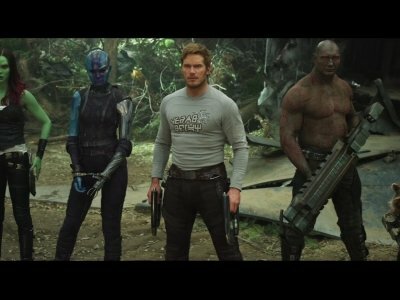 LOS ANGELES (AP) — Marvel's continuing space opera "Guardians of the Galaxy Vol. 2" has yet to hit theaters, but plans are already in the works for the third installment. On Monday, James Gunn announced on Facebook that he would be returning to write and direct "Guardians of the Galaxy Vol. 3." Gunn also wrote and directed the first and second "Guardians" films. The franchise stars Chris Pratt, Zoe Saldana, Dave Bautista and features the voices of Bradley Cooper and Vin Diesel. Zoe Saldana is looking forward to the "challenge" of raising three sons. The 'Guardians of the Galaxy' star has two-year-old twins Cy and Bowie and one-month-old Zen with her husband Marco Perego and having grown up in a "family of women", she is excited about raising three boys. U.S. box office (inflation-adjusted): $841,258,100Smart Rating: 92.76Release year: 2009Starring: Sam Worthington, Zoe Saldana, Sigourney WeaverOn the lush alien world of Pandora live the Na'vi, beings who appear primitive but are highly evolved. Because the planet's environment is poisonous, human/Na'vi hybrids, called Avatars, must link to human minds to allow for free movement on Pandora. Jake Sully (Sam Worthington), a paralyzed former Marine, becomes mobile again through one such Avatar and falls in love with a Na'vi woman (Zoe Saldana). As a bond with her grows, he is drawn into a battle for the survival of her world. Zoe Saldana has a "fear" that 'Guardians of the Galaxy Vol. 2' would flop. 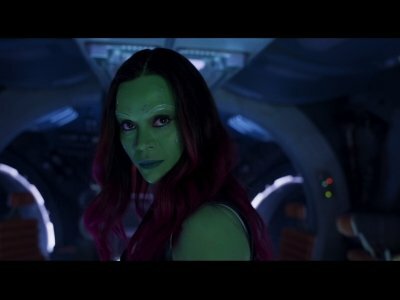 The 38-year-old actress reprises her role as Gamora in the Marvel sequel but was concerned there was a huge risk involved in revisiting something that had been so successful. She said: "You would think we'd come back cocky and high-fiving. "'Guardians' felt to me like going to Vegas, you bet and you win. But the stakes are so much higher now. The Starship Enterprise is on warp drive in "Star Trek Beyond." That's because Justin Lin, the director behind several "Fast and Furious" films, is at the helm, cutting dialogue and introducing plenty of new characters. Now in the third year of a five-year mission, the Enterprise crew is getting bad vibes from a guy named Krall (Idris Elba) who wants some gadget that Captain Kirk (Chris Pine) seems to possess. LOS ANGELES (AP) — The actor who voices the talking tree in "Guardians of the Galaxy" let it slip that his Marvel superhero team will sprout up in "Avengers: Infinity War." Vin Diesel teased during a Facebook Live video Friday that the intergalactic do-gooders will be part of the third "Avengers" movie. The "Infinity War" installment is expected to unite several Marvel characters from across 18 films. SAN DIEGO (AP) — Next summer the "Guardians of the Galaxy" are taking over theaters and Disneyland. SAN DIEGO (AP) — The world premiere of "Star Trek Beyond" blasted off at Comic-Con with an orchestra, fireworks, lasers and tributes to the series' late stars. The sci-fi sequel premiered Wednesday night to more than 3,500 attendees at a flashy invite-only event held at San Diego's Embarcadero Marina Park just outside the site of the four-day pop-culture convention.